Requirements to Study Medicine in China allows students to become more aware of what they shall do at the university after acquiring such an opportunity. By providing these opportunities to the students, work ethic must be considered hard to produce great achievements at the university since studies will be taken seriously. These notes always prepare students to see if they can show something to the world since according to Chinese Tradition, experts must support students until they become devoted to studies. In China, these factors vary accordingly between countries, since the education system varies a lot but level still the same when comes to admission aspects for the students. It will admit students to all courses or programs given within their universities if these students meet the demands, those demands might be relating foreign education to education in China, and students can be admitted if their levels related to high school graduation in China since it's what needed at all. It also provides suitable chance for the students to look on their capabilities and see if they are worth studying abroad particularly in China, this broadens up their ways of thinking and allow them to suggest right decisions. These requirements require students to be with the right age for them to be admitted, this can be 18 years up to 25 years old to most of the universities but it can extend up to 30 years old as to some of the universities in China. They must consider looking for the university that might offer their qualifications because there are many of them at the place. It also includes timely payments of the application fee and other fees associate you at the place, we advise also students to be with patience when comes to waiting for the results after applying since it takes time for their documents being reviewed, studying Medicine in China requires also students to be with good grades when comes to pass marks. 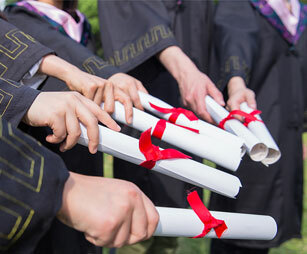 All the requirements aim at developing experts with great abilities in medicine, therefore there must be a good time for them to study effectively if available resources support them, it believes that students with good grades can show a lot of things at the university if they are given such opportunity. It requires them to be with the average marks of 70 percent and above as part of being believed with their education, it also requires students to be with those good marks in subjects like Biology, Physics and Chemistry, students also needs to be with High school Diploma together with High school academic transcript for them to be admitted for the course, with these high school documents it can be easier to verify students level of education. Requirements to Study Medicine in China also insist on the proper filling of application form when applying because there are some important information there are highly needed. It needs students to provide valid information to the university, in case of emergency parents or guardians can be easily contacted for further information It also believes that, with valid Email, students can be easily contacted when results about whether they have been admitted or not are out. It will be a greater idea to the students to get prepared for the studies at the university. It suggests the students learn the Chinese Language even if their programs are taught in English since. When comes to practical works or internships in China, they must know how to communicate with patients. Requirements to Study Medicine in China requires these students to hardly concentrate on their studies but also on their Chinese language skills since it's important for them. In addition, it also advises students to hardly use their time living in China for medical experiences and also other life experiences. It includes also Good moral characters whereby all students are likely to be with it so that they can live freely and comfortably at the place. It requires students to socialize peacefully with their fellows since it's what needed for them to achieve great things at the university, joining student organizations and associating into activities for sport and volunteering service its good for their academics. It allows students to abide with the Chinese Law together with all university rules and regulations at the university. China has a dynamic climate, therefore its good for the students to be ready thus they are advised to be physically and mentally fit. What's more! Students must be well prepared financially thus why sponsor must be stated earlier.